Boolavogue is a slow air. It's an Irish rebel song about the famous 1798 rebellion. [ slow air ] It's a song from Co. Wexford and was recorded by many ballad groups and singers including The Dubliners with Barney McKenna doing a great job on his banjo, Brian Roebuck, Anthony Kearns and The Clancy Brothers. The banjo letter notes are now included for beginners. 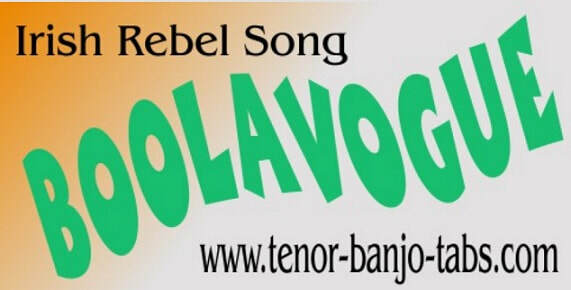 It's a great song for playing on the 4 string tenor banjo. There's an image showing the piano notes / keys to be played.